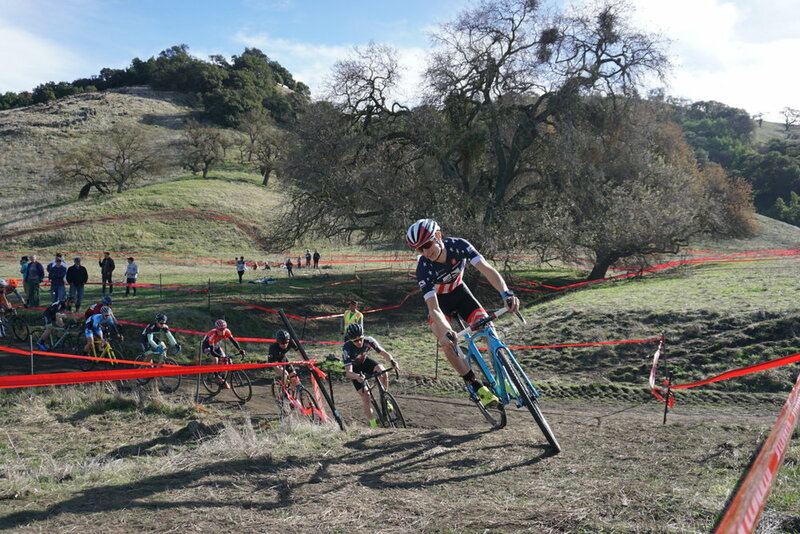 In January of 2018, we created our first venue and course to host the NCNCA District Cyclocross Championships. This represents our first of many ventures in hosting events and racing. Follow along here as we announce, detail and promote upcoming adventures! In partnership with the Madrone Cattle Company and the Grass Farm of Morgan Hill, CA. 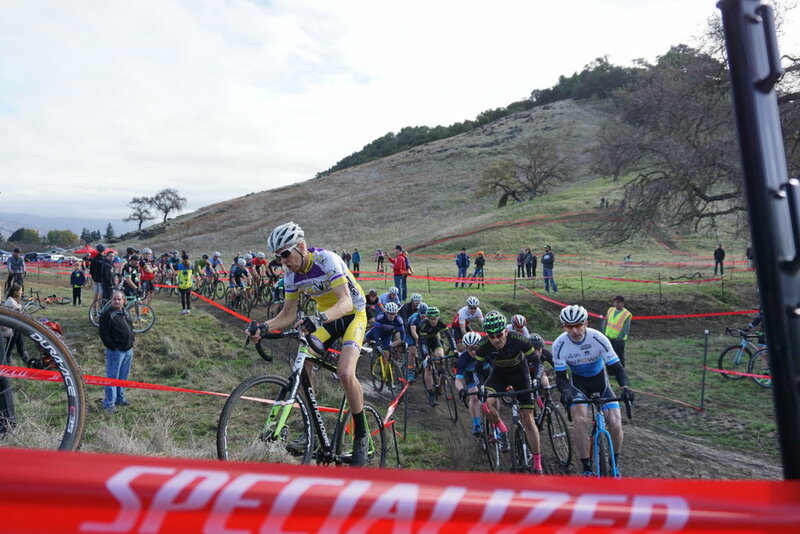 We created a world class 1.5 mile cyclocross course and venue upon the Tilton ranch property. This 2600 acre, unspoiled ranch site is located in the pristine hills of Coyote Valley, located between San Jose and Morgan Hill, California. The venue was a natural stadium nestled in a valley wall within a vast expanse of undulating hillsides. The course highlighted the beauty and benefit of California Open Space and the productivity of cattle ranching. Use of this land was thanks to our new partnership with the Madrone Cattle Company. Note: The race site and ranch land are strictly off limits and remain so unless granted permission by the landowners. Kris Auer - Founder of Charm City CX in Baltimore, a race that has elevated to an annual UCI C1 event (the highest level of professional cyclocross) and has played host of the USA national championships. Kris is known globally in cyclocross for his work with the Koppenberg Cross race in Belgium. He traveled from Europe to design and build our course. In France he is deeply involved in a partnership with The Cycling Centre. 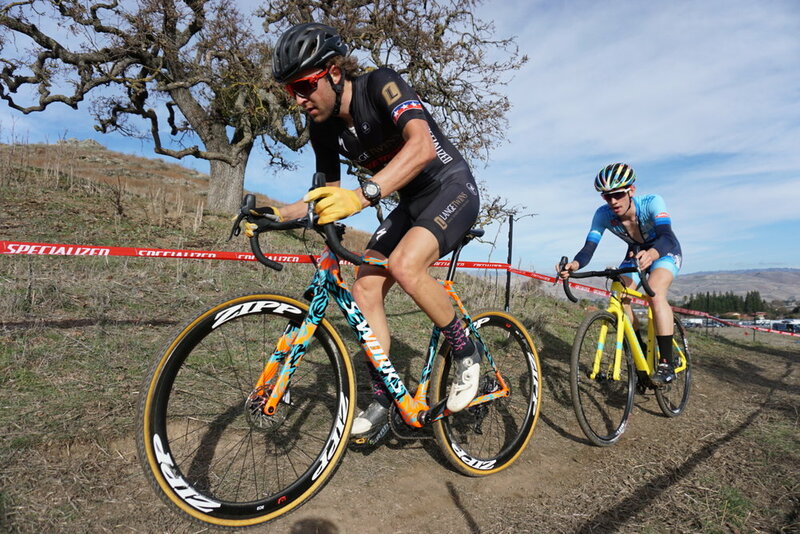 There, Kris and his wife Amber Auer along with professional cyclist Helen Wyman and her husband Stefan host and train both aspiring and top cyclocross athletes in the world for training and skills camps. Louren Reddick - A Baltimore based trail designer and course builder with extensive experience in North America (from Moab to Ontario) in trail maintenance, earth moving, and obstacle building. Thousands of bike racers have Louren to thank for grueling run ups, rock gardens, barriers, fly-overs and large "Belgian" steps. For this event Louren created a dramatic 16ft span bridge over a 20ft deep ravine. This traditional course looped through historic Tilton Ranch land. We utilized a combination of graded dirt roads, steep hill, bumpy grass sections, loose dirt, and stream bed crossings. Special thanks to our sponsor The Grass Farm Garden Accents for their help and equipment to shape the earth for a perfect cyclocross course! The race featured over 250 racers competing in categories of all ages and skill levels. Riders ranged from ages 4 to 72 and skill levels from first time amateurs to multi time USA National Champions. Racers competed from 30-60 minutes for the California State Championship Title across 20 different age and skill categories. The race was open to racers from across the country and had riders from Alabama, Colorado, Indiana, Maryland, Michigan and Wisconsin. The Elite/Pro Men's title was captured by Tobin Ortenblad from Santa Cruz, CA. The Elite Women's Race was won by Catlin Bernstein of San Francisco, CA. The Sport & Race Name - Cyclocross is a growing sport in the United States, but in Belgium it is typical for upwards of 60,000 fans to show up for a major professional race. We decided to pay homage to the Belgian tradition and combine the California bear with the Lion of Flanders Logo. This being a state championship the bear seemed appropriate. Also, racers reaching the top steps of the podium received bottles of wine courtesy of Lion Ranch Vineyards of San Martin. 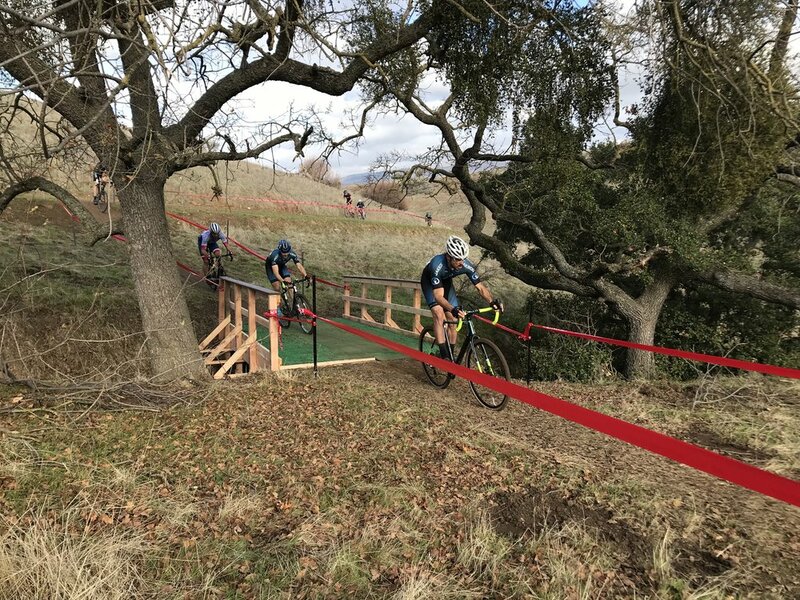 They had to earn those bottles and a state title racing amongst the iconic and picturesque old growth California oak trees that spot the property. Hence the multiple Lion references and name for this years race Cyclocross at Lion Oak. Look for a name change from here out as we want to better honor the local agriculture community and the Madrone Cattle Company.